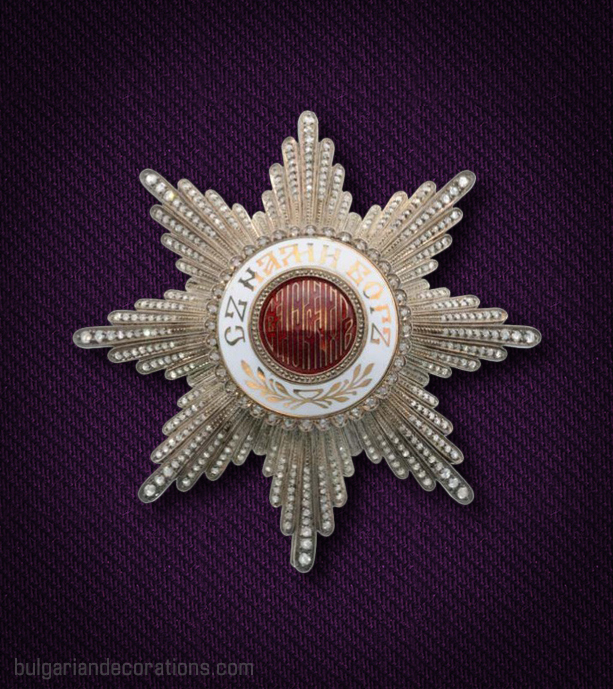 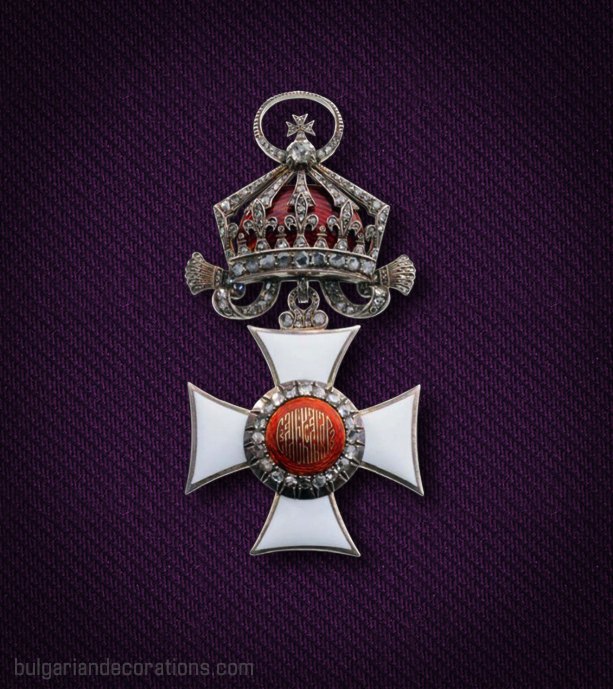 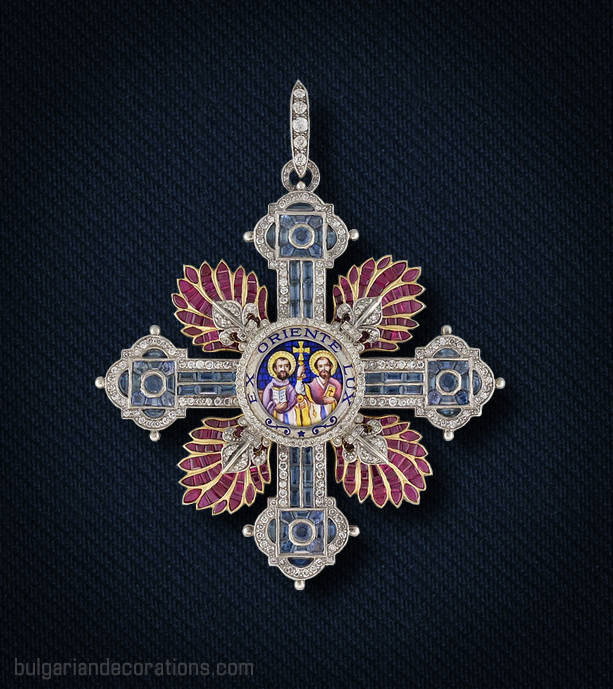 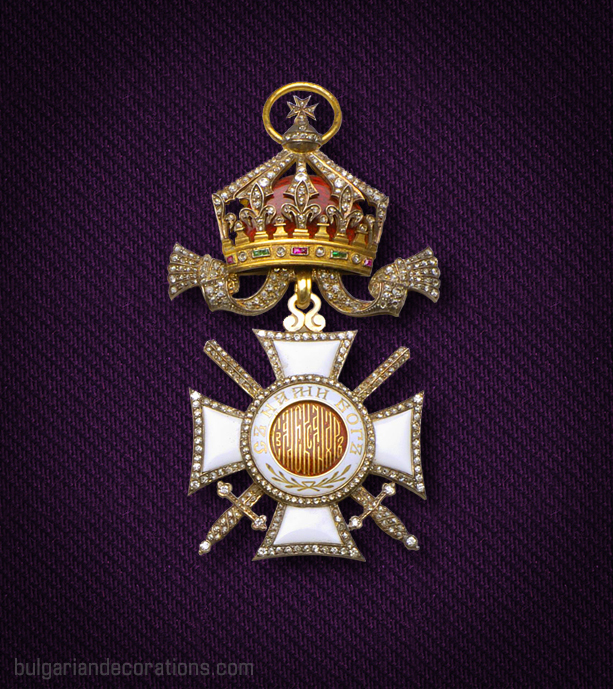 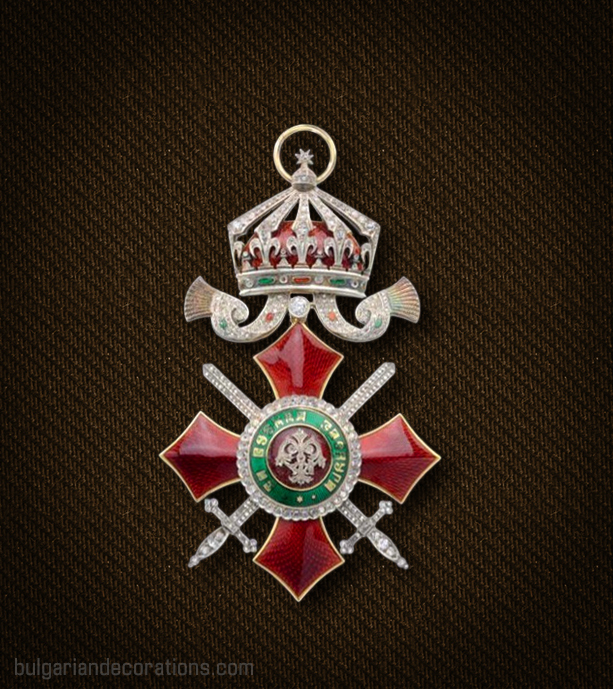 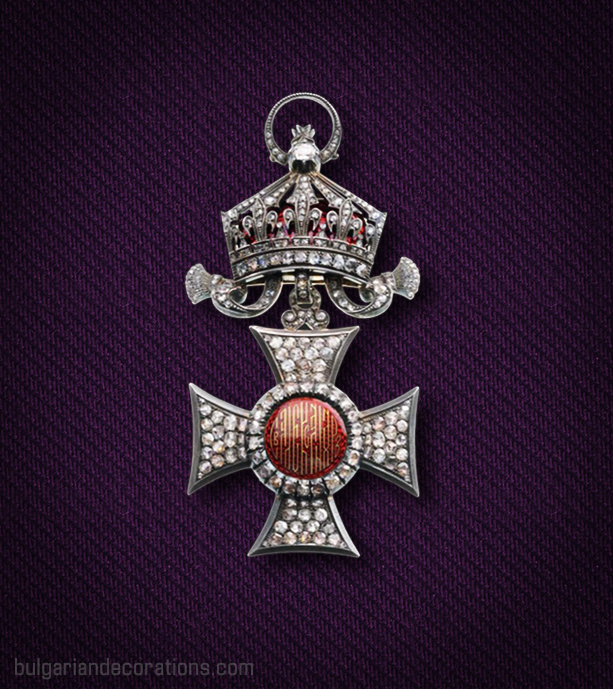 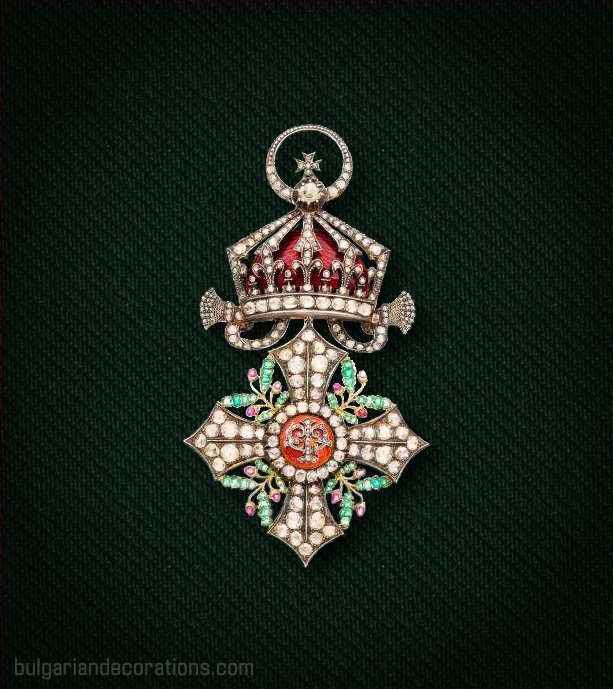 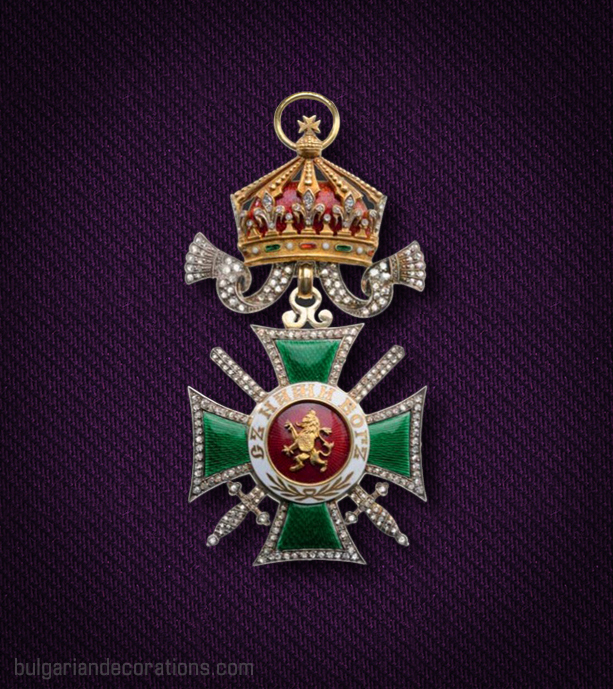 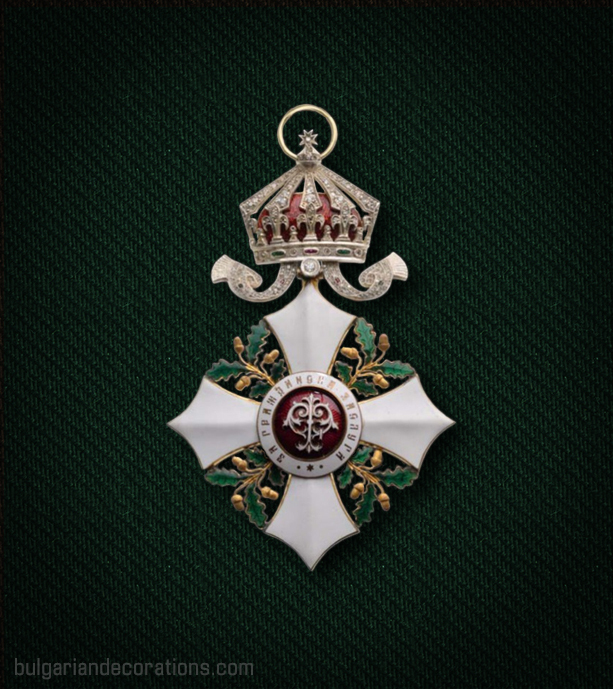 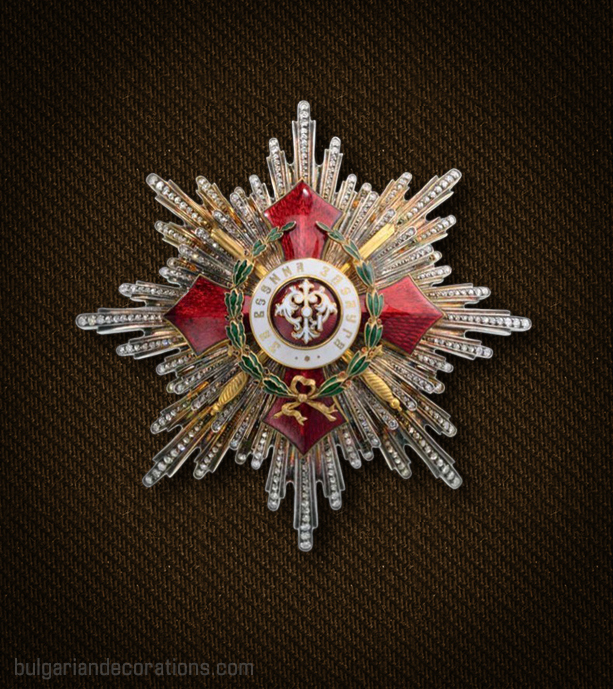 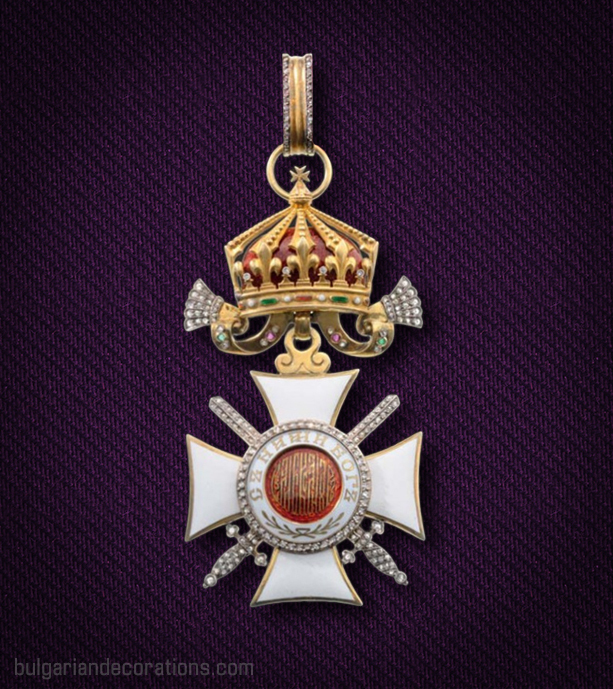 The highest classes of the Bulgarian orders can also be awarded partially or fully covered with diamonds. 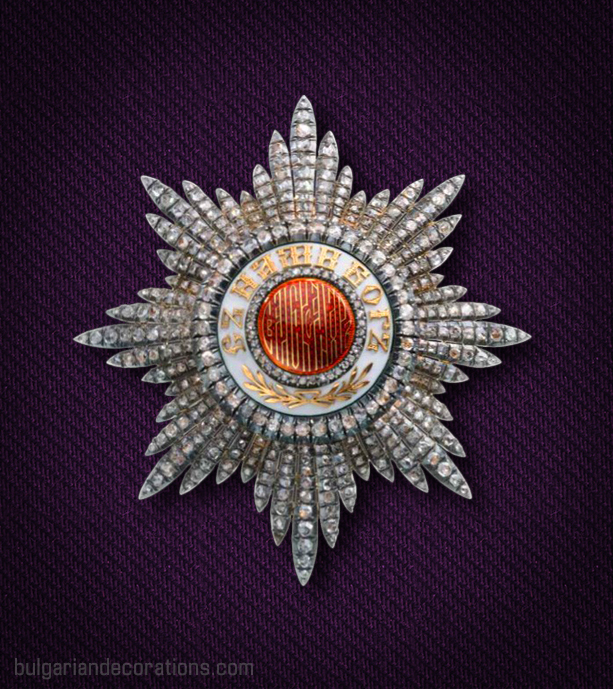 This is done upon the personal grace of the Monarch and personally by Him. 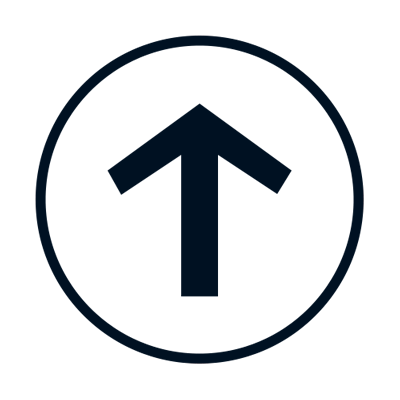 Such issues are very rare. 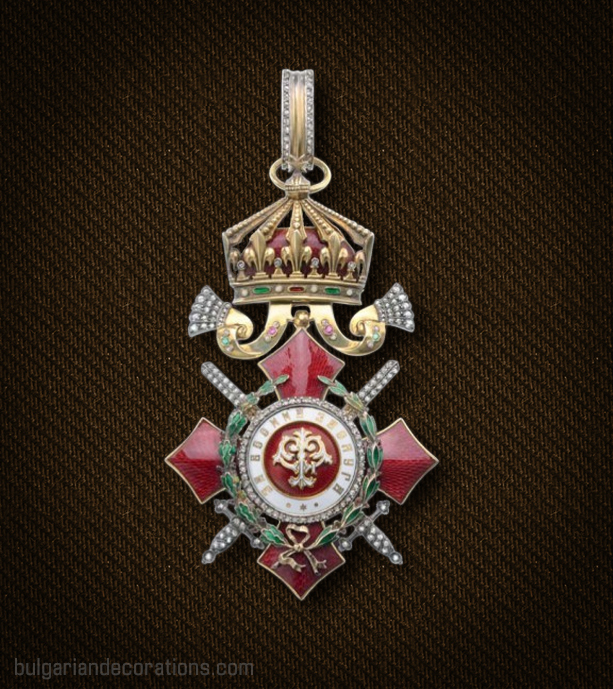 These have been presented to royalties and very high-ranking governmental officials, diplomats etc. 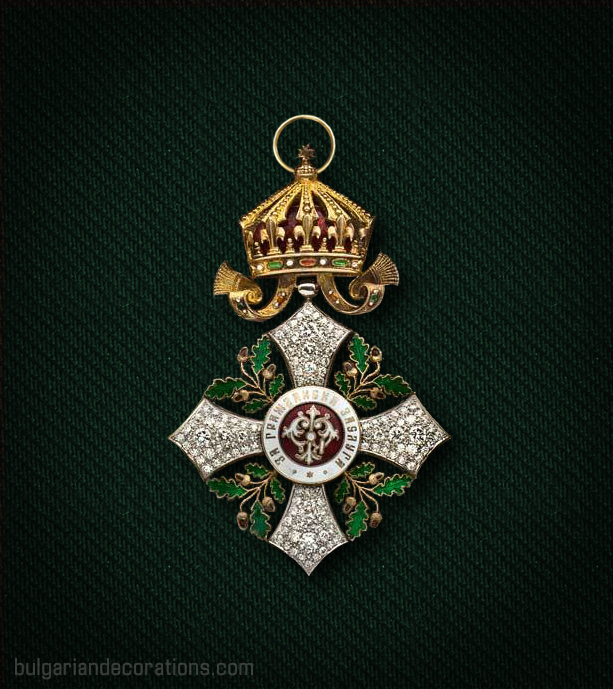 All Bulgarian Queen consorts have been presented with a diamond Grand Cross (I class) set - Princess Marie Louise, Queen Eleonoire, Queen Johanna and Queen Margarita. 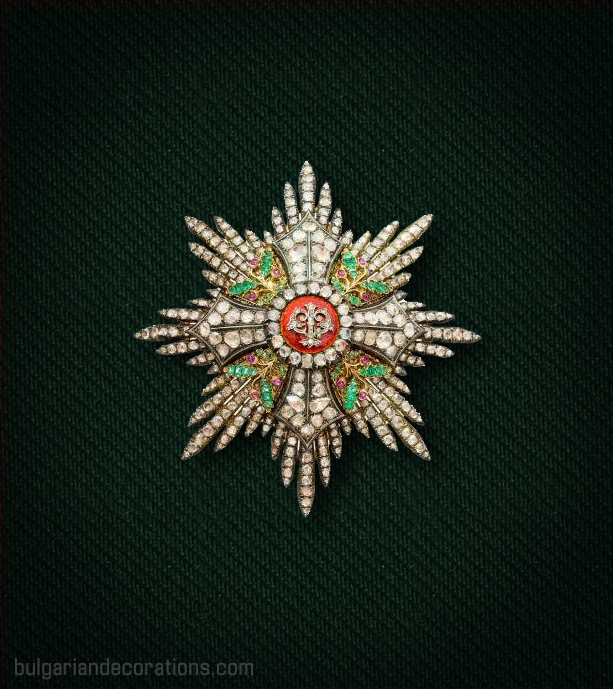 Below are displayed some samples of diamond badges or sets. 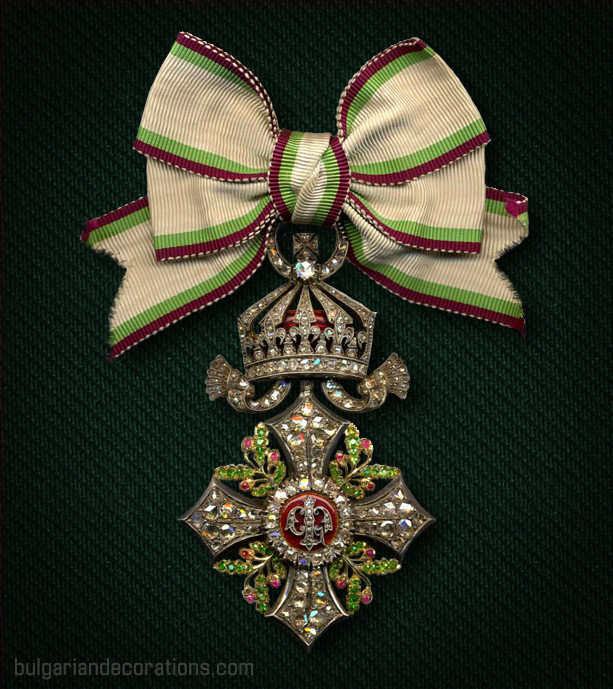 The majority of these decorations have been conducted by King Ferdinand.